One of the many reasons why I love Fall is that it brings persimmons! Usually I eat them fresh. Cut into slices, they are crisp like an apple, but with a subtler flavor. A few years ago, flipping through one of my favorite cookbooks, however, I found that they can also be enjoyed frozen. My friend Ji-Young and I tried the recipe last winter with hachiya persimmons (as the recipe calls for), and they made for a delicious one ingredient sorbet. 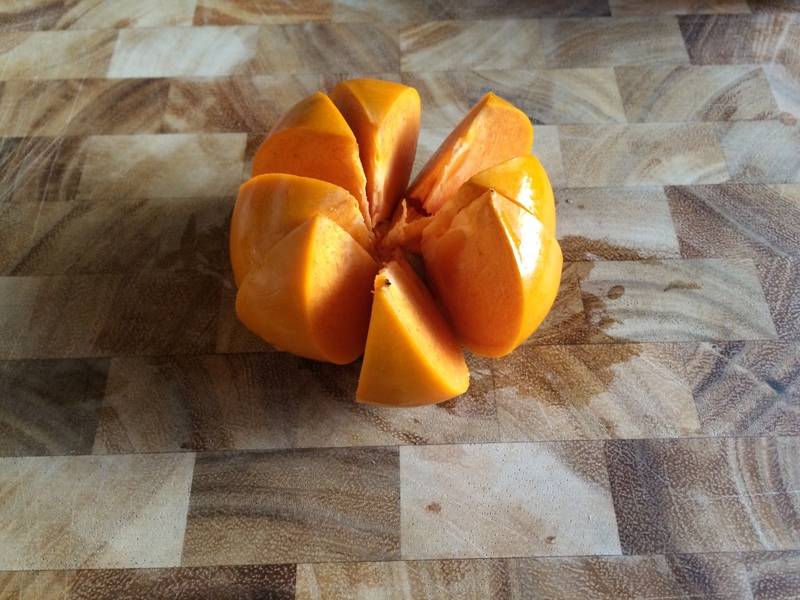 This time, I tried freezing fuyu persimmons, which I am more likely to have around the house. I slipped one into the freezer before heading out for the day, and took it out in the evening when I returned home. After letting it sit to soften for about 5 minutes, I sliced it into segments. The result – a delight! 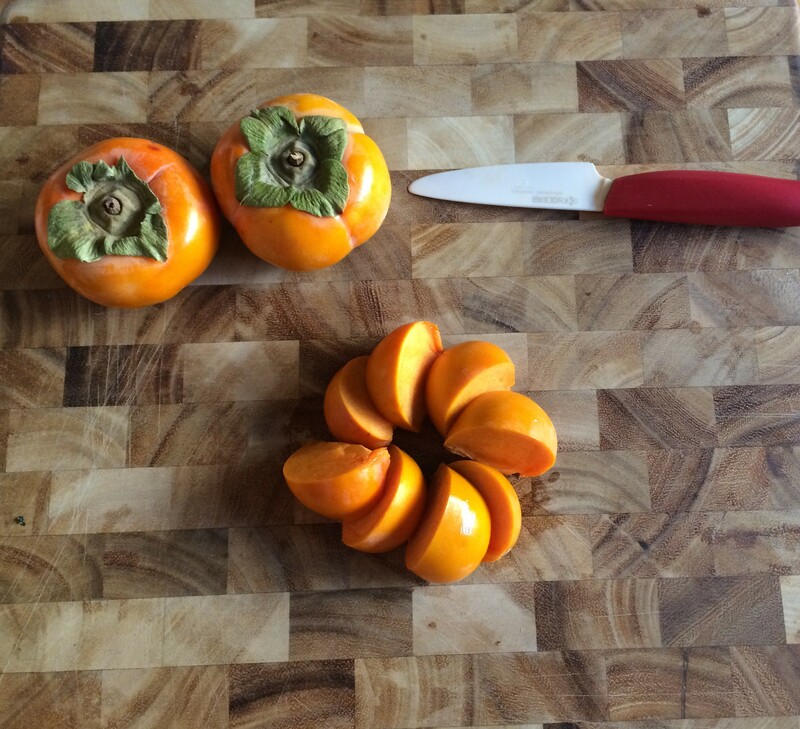 Frozen, the fuyu persimmon takes on a softer, pudding pop-like texture. I will definitely be keeping more in my freezer this Fall for a healthy dessert or quick afternoon snack. 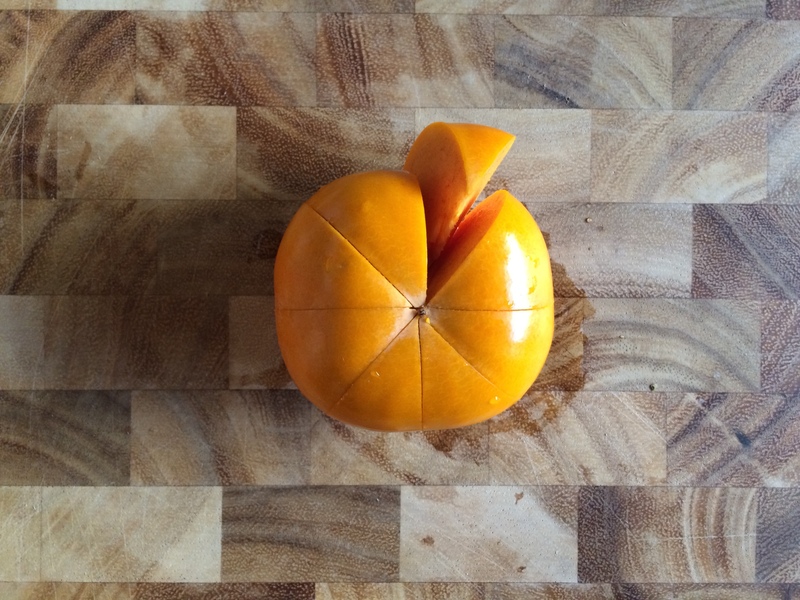 What is your favorite way to eat persimmon?